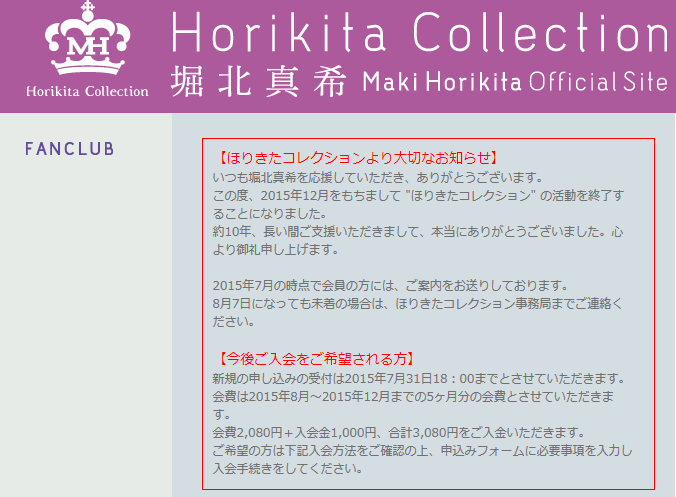 Horikita Maki's agency, Sweet Power, is closing down her fanclub in December 2015. In its notice, the agency thanked fans for their support in the last 10 years the fanclub has been running. Applications for membership were still accepted until July 31 at 6pm. Sweet Power denies that the decision had anything to do with her marriage announcement to Yamamoto Koji and that the decision was made before her intention to marry.